Over the weekend we had what will most likely be out last blast of winter. The chilly, windy weather was the perfect excuse to get out the slow cooker and make a big pot of chili. 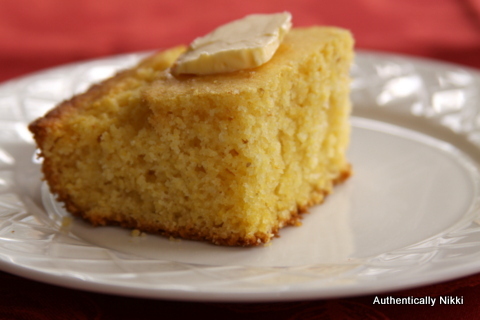 My husband prefers to eat saltines with his chili, however, I much prefer cornbread. For just the two of us a batch of cornbread is usually too much food, and cornbread is one of those things that just never tastes as good the next day. The perfect answer is to make corn muffins. This recipe can be cut in half to make 6 muffins or made as is for 12 muffins. I really like to put a pickled jalapeño slice on top of each muffin. Not only does it make it look nice, but the piquant flavor enhances the tang of the buttermilk. Plus, I like spicy food. 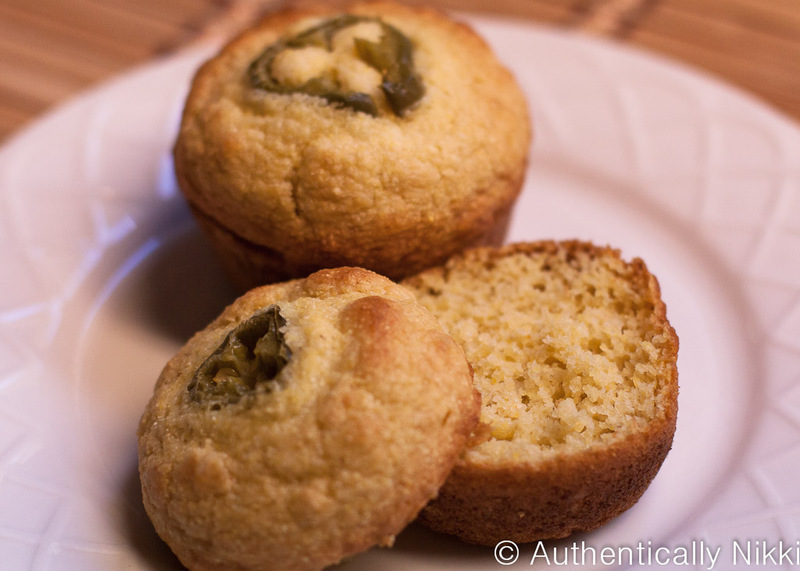 If jalapeños are not your thing leave them off, the corn muffins will still be awesome.